We are pleased to share with you the Travala.com SMART program, eligible for users owning and holding AVA tokens in your Travala wallet. 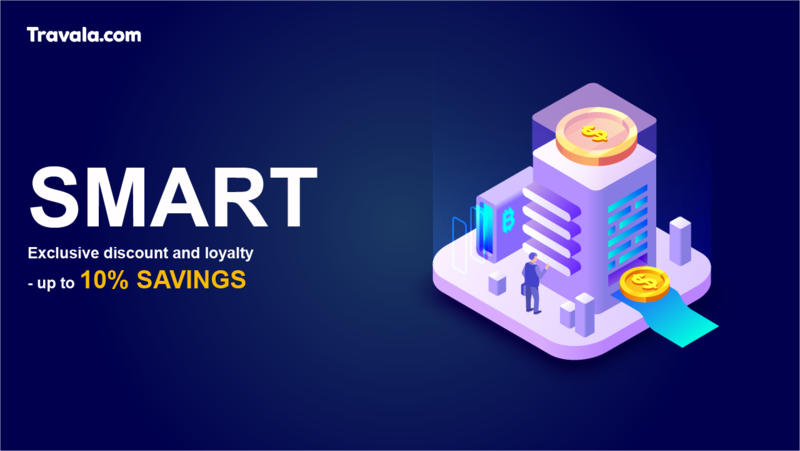 The SMART member status will give you exclusive discounts and loyalty rewards on accommodation bookings you make on the Travala.com platform for a combined maximum SMART saving of 10%. This applies to all crypto-currency and fiat payment methods on the platform. SMART is now live and operational on Travala.com. This program offers a maximum 5% discount off the listed prices together with a maximum 5% loyalty reward after you have completed your stay and it works on a tiered amount of AVA being held in your Travala wallet. Owning the AVA token and activating the Smart program will apply exclusive discounts on accommodation bookings you make on the Travala.com platform. The SMART discount will be applied on your personal experience browsing the site after login. Owning the AVA token will give you rewards on accommodation bookings you make on the Travala.com platform. The SMART loyalty rewards are eligible and will be calculated after you have completed your stay at the property and they will be paid directly to your Travala wallet in the AVA token. By holding the required number of AVA in your Travala wallet at the time of eligibility you will receive the exclusive Loyalty rewards.